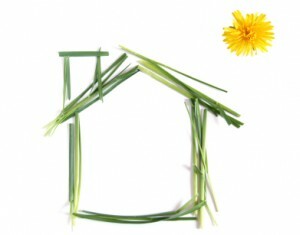 At Fine Line Homes we constantly strive to be at the forefront of Alberta’s “eco friendly” home building industry. In the pursuit of that goal, we take pains to inform ourselves about every product on the market so that we can discuss them with our clients when they choose to take on a home building project. Providing a good, thick, “coat” for your new home that will last is essential, and there are various siding options available. The choice is essentially up to you. Products are becoming more diverse, stronger, longer lasting, and more ecologically–friendly all the time. Canada has innumerable trees, but lumber is a global business. If you want wood siding for its classic look and known performance, pick a product certified by the Forest Stewardship Council, an international wood harvesting standards effort. The FSC certification means that the wood was extracted in a sustainable manner. As trees are a renewable resource, and limited impact forestry is becoming the industry standard, wood siding is a very ecologically sound choice. Next to impenetrable when properly installed and maintained, these claddings can be energy intensive to produce, even as veneers. However, eco friendly home builders enjoy installing these siding materials – not only because they provide a high-class finish but also because these materials, when well maintained, will outlive everyone involved in their production process…and even the wood structure of your home! Bricks and stones can also be taken down and reused elsewhere. Stucco once would have merited only a brief mention because past formulations were not really well suited to providing decades of worry free service in the wildly variable climate of Alberta. However, that has changed. Imcaso stucco, developed in Canada, is a exterior finish system that can stand up to any weather, thanks to the inclusion of acrylic, which makes it flexible enough to deal with the local freeze/thaw cycle without cracking over time. Despite the extraction issues and use of man-made polymers, again, the durability of well-formulated stucco ultimately makes it a solid environmental choice. Invented by James Hardie Building Products Inc. in the 1970s, fiber cement boards were once made of Portland cement and asbestos. Over time the process has been developed into a sophisticated blending of cellulose fibers, cement water and sand, which is then combined with a baked-in grain pattern and colouring. Fiber cement boards are guaranteed to last 30 years as used by eco friendly home builders in Canada. Though fiber cement siding has a high amount of embedded energy tied to its production, its durability, fire resistance, freedom from rot and UV degradation, and lack of need of repainting or staining makes it a another solid environmentally conscious choice to side your custom home. Fiber cement is as good-looking as wood without the ultimate expense or upkeep. This affordable siding is as ecologically divisive as they come. The manufacturing produces pollutants like dioxin, and requires copious amounts of chlorine, and ethylene, a natural gas derivative. Once produced though, vinyl has merits. It’s lighter to transport than competing materials, and doesn’t require painting (although the colour palette is provided is limited). It is highly weather resistant. Vinyl can also come insulated, providing a small R-value rating boost. Modern metal cladding is a far cry from the aluminum siding that was often used in the 1950s. The most common metallic siding seen today are galvanized corrugated steel panels that can be oriented horizontally or vertically, as desired. Metal sidings, as you might expect, look “hard.” Wood accents are often used to soften their visual presentation or provide geometrical diversity. If corrugated steel is not avant garde enough, aluminum still competes, but this time around as panels, which can even be anodized in a rainbow of colors. Be warned that such cladding is expensive and usually requires specialized installation. Though no metallic siding is entirely ecologically friendly to produce, the results will probably outlast you. And in the end, both virgin steel or aluminum are completely recyclable. When you are ready to discuss the details of a custom home with Calgary’s leading eco friendly home builder, don’t hesitate to contact us at Fine Line Homes and see the possibilities.